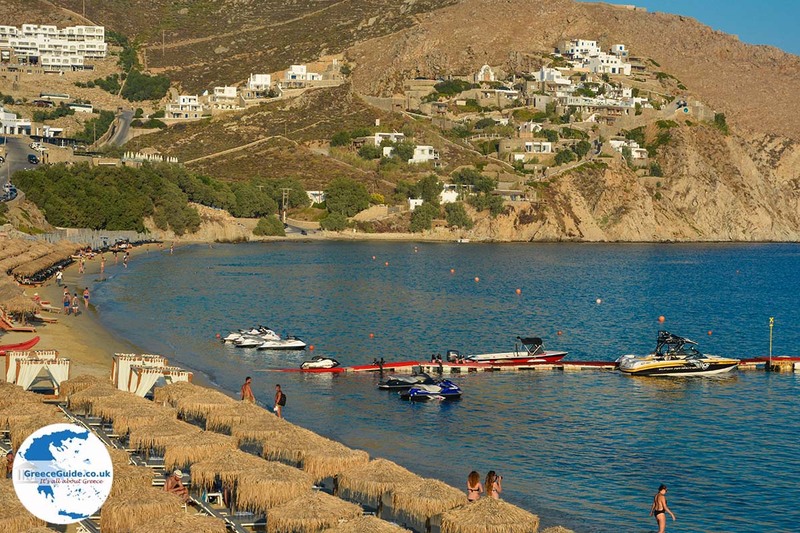 Elia beach. 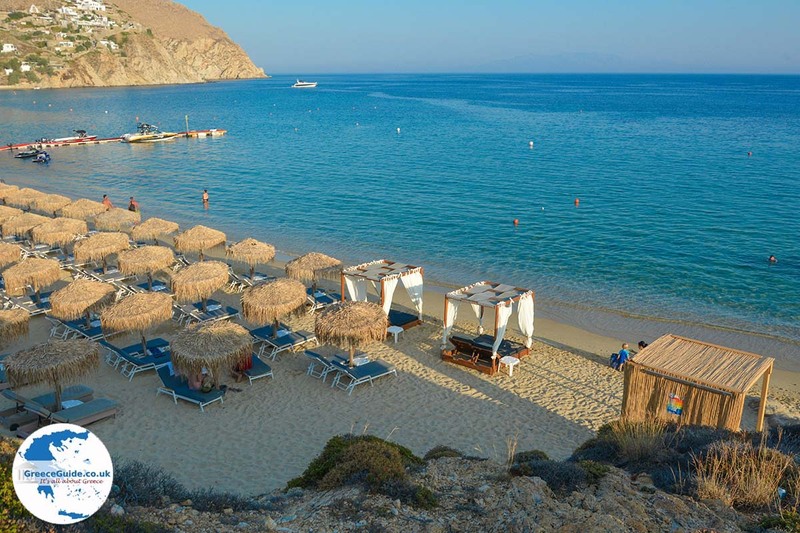 Elia beach is 12 kilometers southeast of Mykonos town situated. 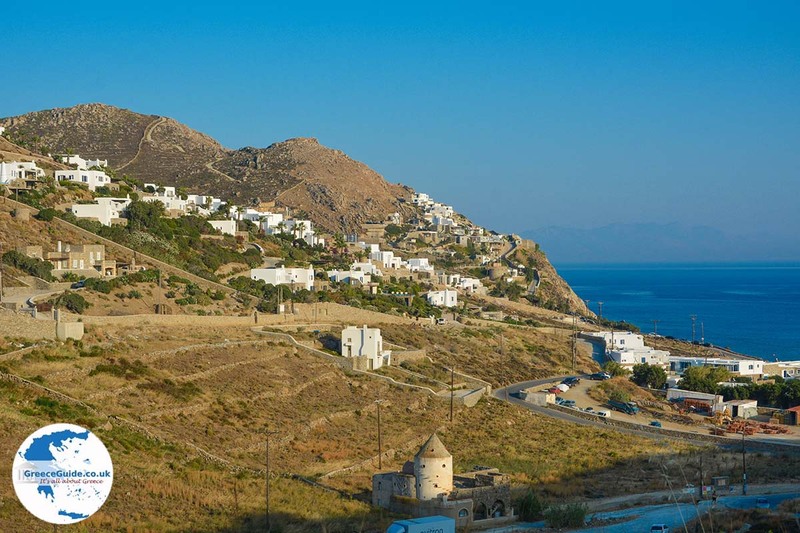 You can reach Elia via the village of Ano Mera, from which there are several narrow roads down to the bay where the beach is located. 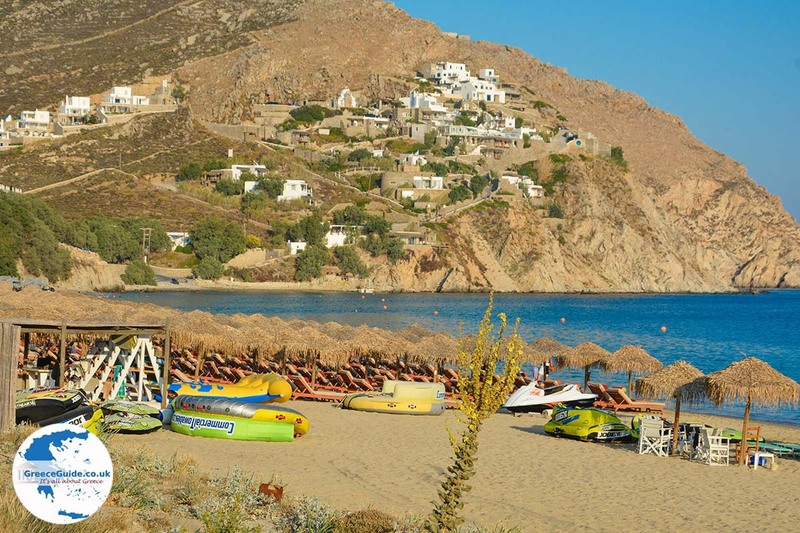 The beach of Elia consists of two beaches, one big and one smaller beach. The smaller beach is the western beach. 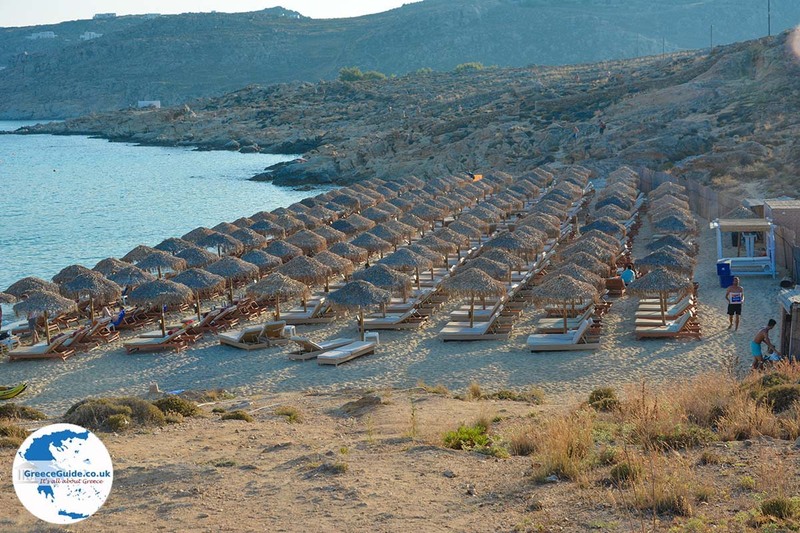 Both beaches are well organized and there are umbrellas and sun loungers available for the guests. Water sports are also available here. 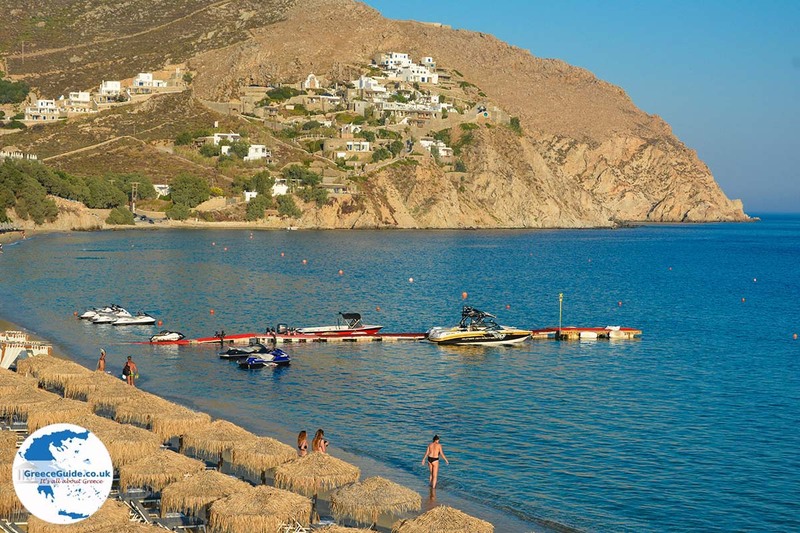 Next to the small beach, a narrow footpath leads to a small nudist beach. 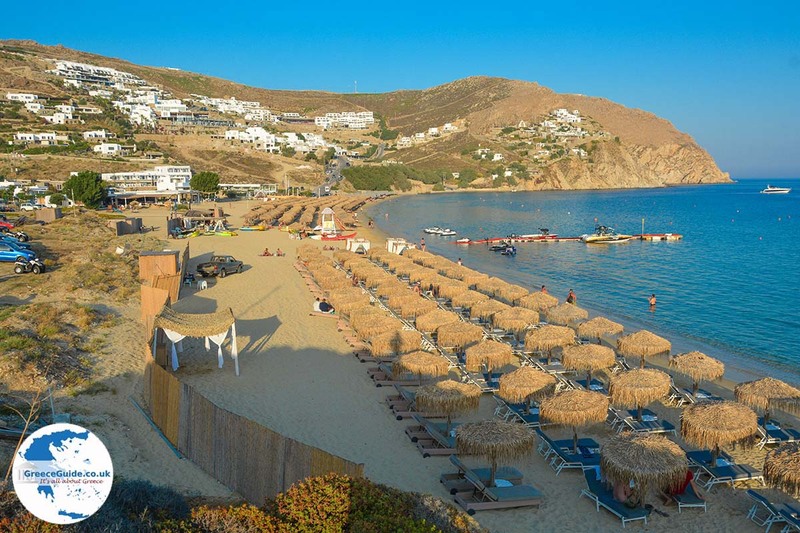 Elia beach is a beautiful sandy beach and lies at the bottom of the slopes of bare hills. Several luxury hotels are located on these hills. 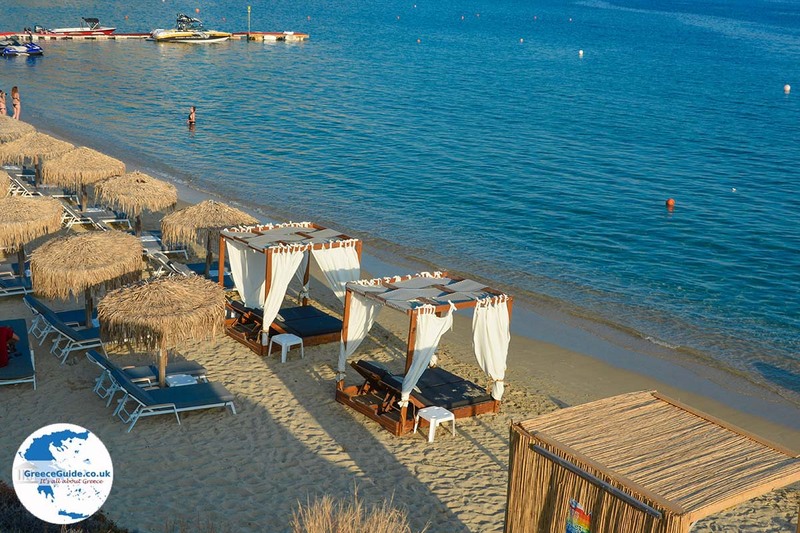 There are also smaller apartments as well as luxury villas for rent. 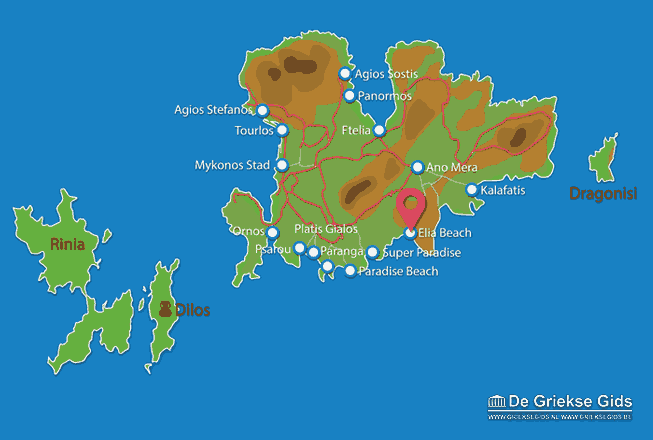 Mykonos: Where on the map is Elia beach located?